SHARMINI PERIES:	It’s The Real News Network. I’m Sharmini Peries coming to you from Baltimore. Next week Republican members of the House of Representatives and the Senate will begin negotiations on reconciling the two slightly different tax reforms plans that the House and the Senate passed last week. According to Republican Party leaders, the goal is to pass a reconciled tax reform before Christmas, but who is behind this tax reform plan? What are the material interests and ideologies behind the bill? Now that they are closer to succeeding with the tax reforms, it seems that the Republicans feel freer to express themselves. Two senators who recently did so are Senator Orrin Hatch of Utah and Senator Chuck Grassley of Iowa, who had the following to say about social spending and the need to reduce it. CHUCK GRASSLEY:	I think not having the estate tax recognizes the people that are investing as opposed to those that are just spending every darn penny they have. Whether it’s on booze, or women or movies. ORRIN HATCH:	Wanting to spend billions and billions and trillions of dollars to help people who won’t help themselves, won’t lift a finger and expect the federal government to do everything. SHARMINI PERIES:	Joining me now to analyze who and what is behind the tax reform is Bill Black. Bill is a white collar criminologist, Associate Professor of Economics and Law at the University of Missouri, Kansas City. He’s the author of “The Best Way to Rob a Bank is to Own One.” Thanks for joining us, Bill. SHARMINI PERIES:	All right, Bill. What is your reaction to these comments from Senator Hatch and Grassley? BILL BLACK:	All right, so the first comment by Senator Hatch was in the context of the Children’s Health Insurance Program called CHIP, which provided insurance for nine million kids in very poor families. After admitting that it did very good work, of course the obvious question was, “Why had the Republicans allowed the CHIP program to expire?” His answer was, “We have no money.” Now, this is in the direct context of cutting federal revenues by 1.5 trillion dollars. So, you can see the priorities and you can see then his answer, remember, we’re talking about kids and health insurance, who are really poor, in saying that he’s sick and tired of supporting these folks who won’t work for themselves, all these six year olds and such. A truly revealing comment about where they were coming from and the tactics they’re going to use, the tax bill not only to reward the rich but as their excuse to slam the poorest Americans. Then, you have Grassley saying contrary to their explanations for the bill that yes, yes, yes, it was designed to aid rich people because rich people are much better than the rest of us. Because rich people, he says, invest their money. Whereas the rest of us, we spend every darn penny on booze, women and movies, which must be news to Hollywood type of thing and probably to the liquor industry. But I like the concept of women. I don’t know whether these are supposed to be wives and daughters or he recognizes perhaps that women actually work. It’s a completely bizarre statement and it’s terrible economics, but again, it reveals that they wanted to take money from the middle class and the working class and poor people because they view them not putting enough money into the stock market. They want to give it to people who are going to put their money in the stock market. What happens if you put an extra billion and a half of money in, I’m sorry, trillion, trillion and a half of money into the stock market? Well, of course, you’re going to tend to cause the stock market to surge and who is that going to benefit? Well, of course, the wealthiest tiny portion of Americans, just like it’s done before. That’s the mindset behind all of this and the only surprise is how open they were in revealing that mindset. SHARMINI PERIES:	Bill, last time we spoke you said something very important, that this tax bill didn’t take the normal route it takes in terms of hearings going to committee, nor hearing from independent experts and so forth. What is a normal route for tax bill of this sort, this magnitude? Also what, if they didn’t hear from these people that you normally hear from, who did they hear from? BILL BLACK:	Okay, so this is that phrase that John McCain has used but ignored in voting for this bill, “regular order,” and the need to return to regular order. Regular order would be that you would run the place in accordance with common sense, traditions and the whole concept that the Constitution had in mind. Revenue bills are supposed to originate in the House, they’re supposed to go through hearings in the responsible committees. They’re supposed to be coordinated with the committees that deal with the budget. A number of years ago, Congress sent up this joint committee on taxation on a nonpartisan basis to provide special expertise, and again, to remove as much as possible, the politics that would do assessments of what the bill would actually achieve. Taxes aren’t necessarily paid in economic substance by the people who nominally pay them. Everybody knows that. The sales tax is something that nominally the merchant pays, but of course, the consumer actually bears it. There are all these claims and we went through last time, Art Laffer, that said if you slash taxes actually you get a jubilee and more money magically appears. This is never true, and the joint committee has consistently shot down these utopian assumptions. None of those things happened, and to go back to Hatch and Grassley’s statements, you can see why. This bill is absolutely indefensible. If there were hearings, it would have exposed in excruciating detail A, that it was indefensible, and B, the purposes behind it and C, the fact that the proponents can’t put an English sentence together without making it clear that they are malignant trolls. I mean, these people, they’re like a self-caricature of evil. You can’t make it up how bad these folks are. So, they were desperate to avoid that, and of course, they’re desperate in particular because the bill is based on this lie that it’s revenue neutral. In other words, that it isn’t going to cost the Federal Treasury anything, when everybody knows it’s going to cost the Treasury over a trillion dollars in terms of lost revenue. They couldn’t go to a hearing, they couldn’t get any significant number of experts who would say yes to this bill, when even the University of Chicago, super conservative, surveyed economists, they overwhelmingly, and I mean like with one dissent and that one person read the question wrong, said that it was going to dramatically increase the deficit. So, they couldn’t go to the experts, they couldn’t go to the public and they wanted to keep this an inside job with the lobbyists. So, who’s behind it? Well of course, the very fact that they kept it all secret means we can’t know for sure and we most assuredly don’t know who behind the scenes is trying to change it, even before they reach Conference Committee and certainly when they reach Conference Committee, where it’s obscene that the lobbyist cluster right around the conference, and people regular shuffle in and out to work with the lobbyists, and to keep it from the public. But what we do know is this: it’s the Club for Growth, which is the Koch brothers, it’s the Chamber of Commerce, it’s the Business Roundtable. These are the biggest businesses, the plutocrats and all of them have three huge priorities: one, slashing the corporate income tax. Delivered. Two, significantly expanding the ability to transfer massive amounts of wealth to their offsprings so they can create dynasties. Delivered in this bill. And three, otherwise tax reduction, not just for the rich, but particular types of rich. So, these are the people who are not entrepreneurs. They are not starting new businesses. These are the venture fund and the hedge fund guys and the lawyer who was already in business and the dentist who was already in business, who will reincorporate and act as if they were a corporation, and get a dramatically reduced tax bill. This is the same kind of scam I explained that blew up the Kansas budget and caused a disaster. SHARMINI PERIES:	Right. Now, Bill, just today President Trump had several families visiting him at the White House and they were talking about how these tax reforms are going to help the families, and there was two former soldiers who were back from duty who had set up businesses and he had them in the Oval Office, talking to them about how this was going to benefit them. They had bought the Kool-Aid and they were drinking it. From your assessment, how is it going to affect these kinds of small businesses that Trump is supposedly telling us he is trying to help? BILL BLACK:	Well, for real small businesses, the plumber with 12 employees and such, no, it doesn’t deliver. For the lawyer, the doctor, the people who are already extremely wealthy, this tax scam that I’ve talked about, it delivers. For the middle class as a whole, as I explained last time, this is very clever politics. There are temporary provisions that will ensure that most middle class folks will get a reduction for several years in their taxes but it will be followed by a tax increase. So, once those tax increases for the middle class kick in, most middle class people will pay higher taxes. Unless this is changed in Conference, and it may be changed in Conference Committee, in particular this is aimed at blue states, citizens of blue states, who lead the nation in education and growth, and such. These are the really vibrant places where you’re getting the technological advances that drive the economy. SHARMINI PERIES:	All right, Bill. So, recently in the New York Times, they wrote a detailed analysis of how real estate sector would be one of the most lavishly favored sector in this tax reform plan. In what ways will it benefit the real estate sector? BILL BLACK:	Well, there are a bunch of ways but the primary things are again, this ability to incorporate and get a much lower tax rate, even than corporations, and this concept of passive interest and carried interest and such that is the scandal of the hedge fund industry and that Trump said should be fixed in a tax bill. But of course, is not. So, yes, real estate makes out very well and Trump loses some as a blue state resident but Trump’s heirs, in terms of his estate, will save enormous amounts of money. It very much enriches the President of the United States as well. SHARMINI PERIES:	Right. Now, the other way in which this bill is sold to the public is that it’s going to simplify taxes. Will it simplify taxes? BILL BLACK:	No. The way I guess you could argue it simplifies it somewhat is it gets rid of key deductions that support education and therefore without those deductions you’ll use the standard form and the standard form is easier to do, but no, they could have simplified the tax code in innumerable ways. They have not done that. As a footnote to all of this, the deficit arguments usually are junk, right? Whether they’re raised by the new Democrats or the Republicans, the deficit in the United States has, in the ranges that we’ve been talking about, nothing to do with for example, producing inflation, nor does it mean we have no money. We have as much money as we want in the system. What we lack is real resources and things like education, as we noted in our last talk. This legislation, the craziest part about it is these are people, the Republicans who talk all the time about the need for technological advances, how we’ve got to get schools producing many, many, many more engineers and scientists. Well, that means graduate degrees, and this bill, the single harshest thing it does is go after graduate students who are poor as church mice. It’s going to greatly discourage people from getting PhDs in engineering and science, and of course other fields. It’s just insane under their own terms. Another reason they couldn’t hold public hearings. SHARMINI PERIES:	All right, Bill. I understand that some students are protesting particularly this student provision in the tax was actually arrested this afternoon on the Hill. SHARMINI PERIES:	And CHIP being? 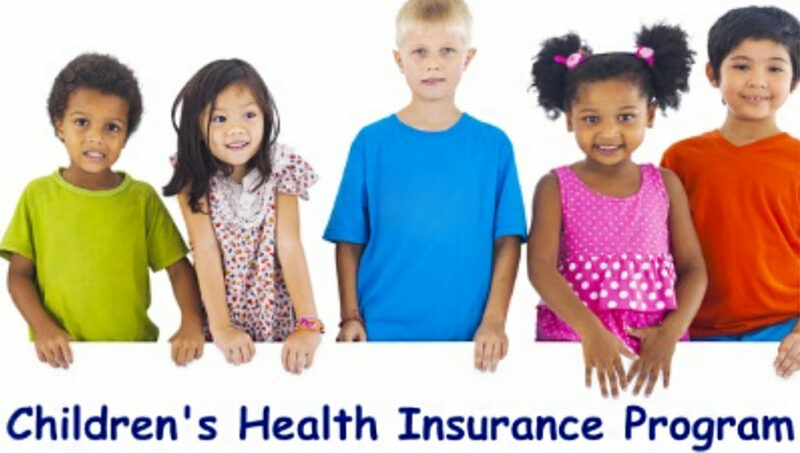 BILL BLACK:	CHIP being, again, the Child Health Insurance Program. SHARMINI PERIES:	I thank you so much for joining us, Bill.